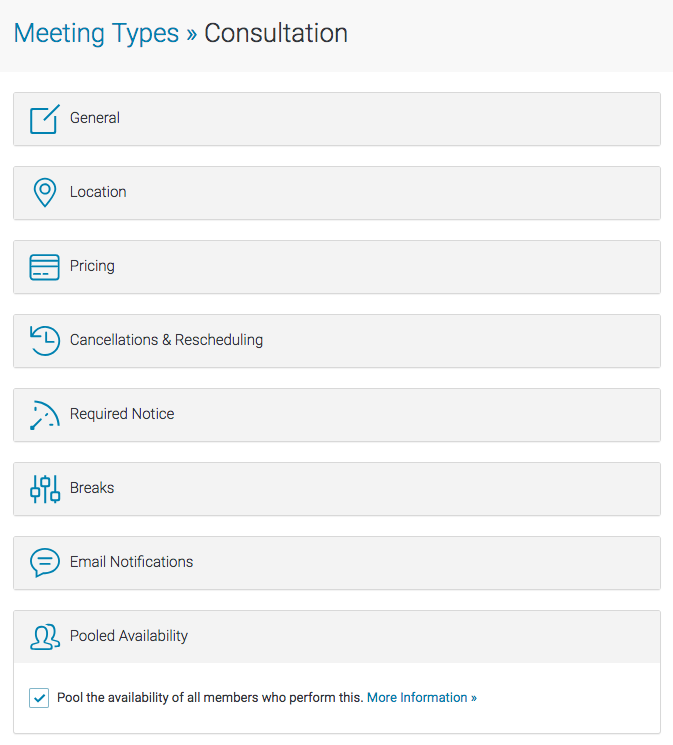 When this feature is activated for a meeting type, the attendee will no longer choose the member that they book with. Behind the scenes, Appointlet will check for all members who are assigned to the meeting type. The dates and times displayed to the user will be a combination of all availability across the members in the pool. When a user selects a time on the booking page, Appointlet will check to see which members in the pool are available and follow a round robin ruleset. This means that our system cycles through each member one at a time in an attempt to distribute the meetings evenly across the team. Some members may be available more often than others, which can disrupt the even distribution of meetings. For example, if you have two members in a team, one who is available every day of the week and the other who is only available twice a week, then the member with more availability is likely to receive more bookings.